Last night our Summer Rock Campers completed the camp week with a show at Shotski's Pizza. It was a great week of music and fun. The students learned how to play rock songs ranging from AC/DC. The Kinks, Green Day, Weezer, The Rolling Stones, and also wrote and composed three original rock songs. The campers learned how to record their original songs and you can listen here. In addition to all of this they created a music video, created custom t-shirts, buttons, and concert posters. Summer Rock Camp is a week-long summer camp for the beginner, intermediate and advanced musicians ages 6-17. Students will explore music in a comfortable, non-intimidating and expressive social atmosphere centered around rock music. Guitar, bass, drums, piano, and vocals. This is a great way for students to explore what instrument they might like to further pursue in the future. 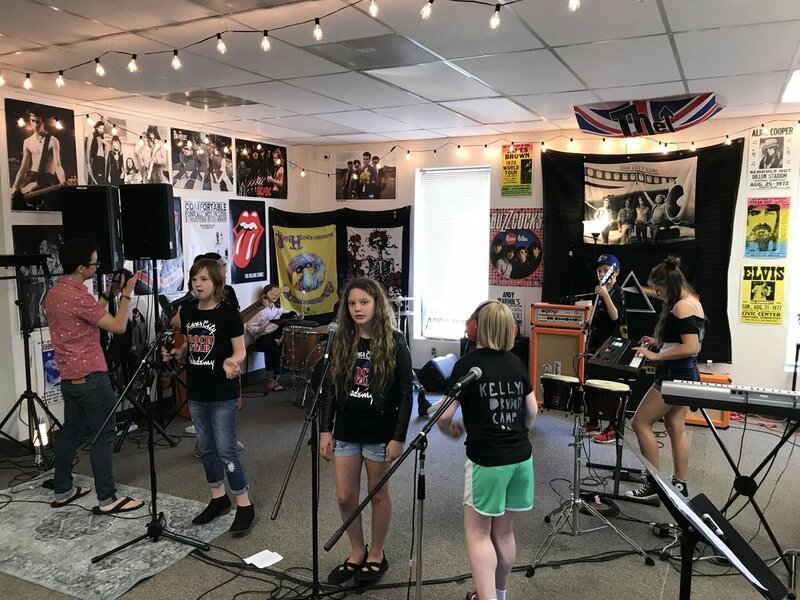 Summer Camp is scheduled for Monday, June 26th through Friday, June 30th from 9:00 a.m. to 4:00 p.m. On the evening of Friday, June 30th the campers will perform their original songs as well as the cover rock songs they learned during the week. To find out more click here or sign up here before it's too late.